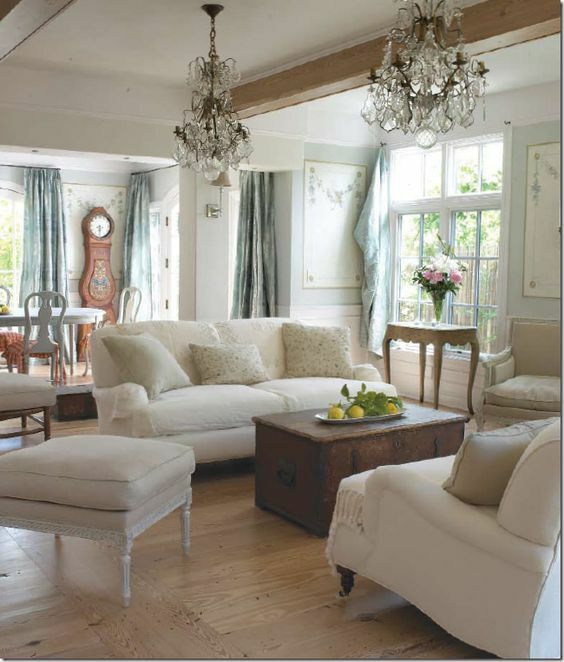 For years I had been a huge fan of French Country Style. 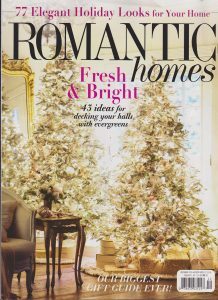 I had red toile in my family room, as well as roosters and other quintessential French Country touches throughout my house. However, as part of my lightening up and paring down over the last couple of years that I’ve shared here and on Instagram, I would say that what I most gravitate to now is more of a Swedish influenced style. I think of it as similar to French, but lighter, both in color and in spirit. Both have a a very European sensibility, yet the Swedish take is just a little more spare, a little lighter, a little simpler. There is usually very little color, and if there is, it’s pale, pale versions of blues, greens, or greys. 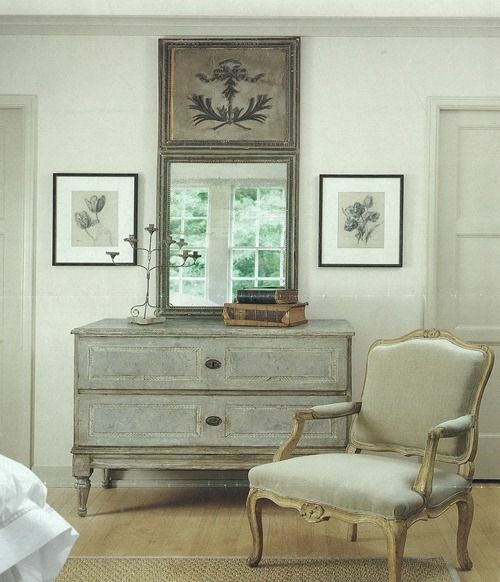 Swedish furniture is influenced by Neoclassical style, with very little ornamentation or embellishment. 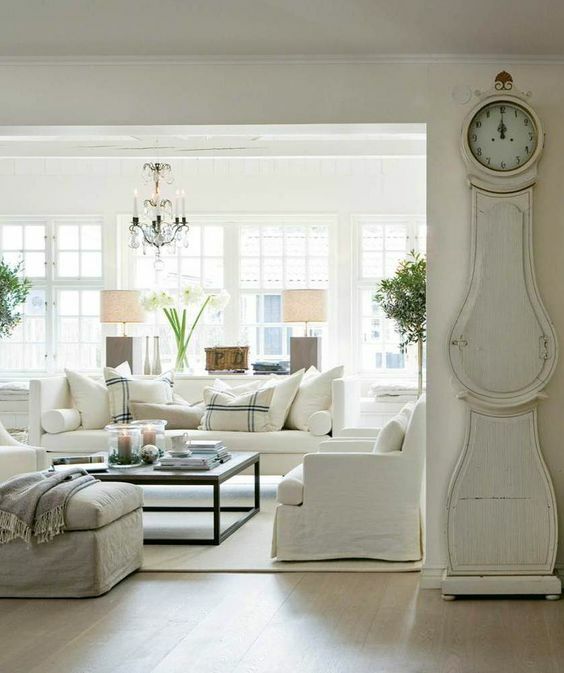 Another thing that is a big part of Swedish style is symmetry (love!). 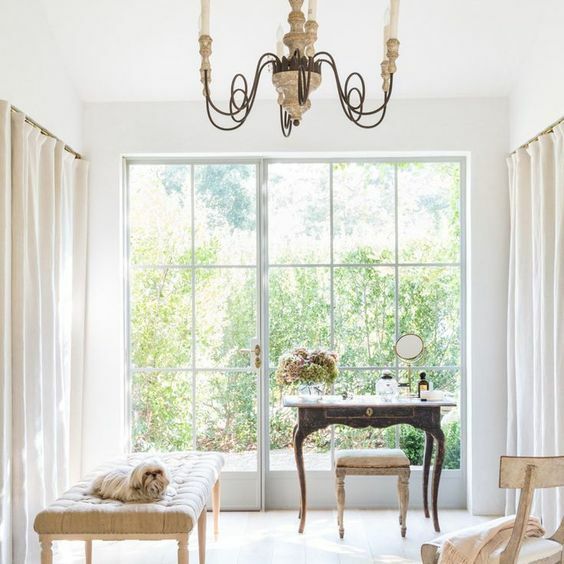 I think the style is so versatile; it mixes well with many other styles, and can be incorporated into so many different spaces and mixed easily with different periods. 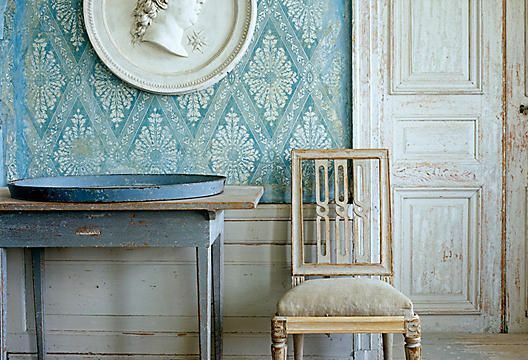 Most of these inspiration photos are a mix of French and Swedish or other European antiques, but to me, that’s ideal. 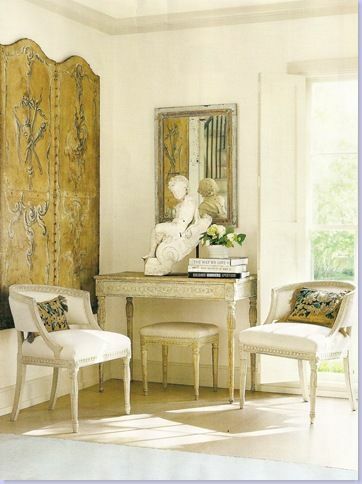 The theme here is the lightness of the rooms. Love this room. A mix of Swedish and contemporary but topped off with that Frenchy chandelier. 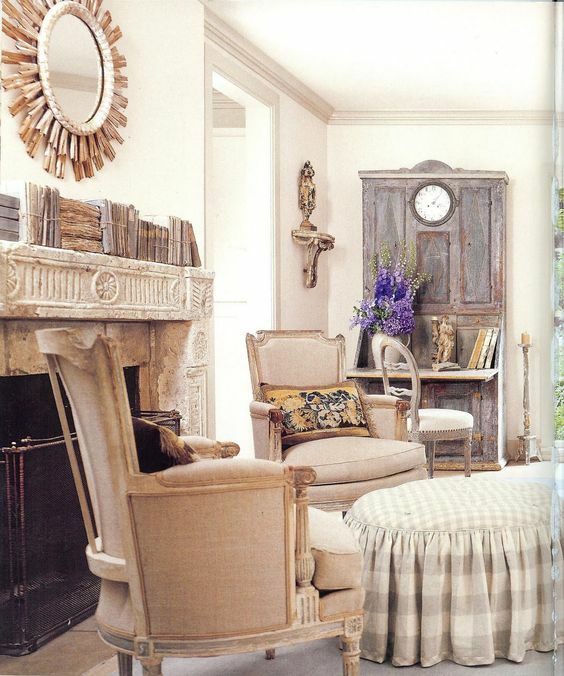 Garnet Hill has a round mirror surrounded by a very rustic, whitewashed birch frame. It's gorgeous and would fit wonderfully into a Swedish country scheme. Just wanted to let the rest of you fans of Swedish style know about it. Awww… thank you so much Jemma! I appreciate that so much! And I love that mix! The clean, simple whites of the Swedish mixed with crystal and gold is sooo good!! Me too Shelley! 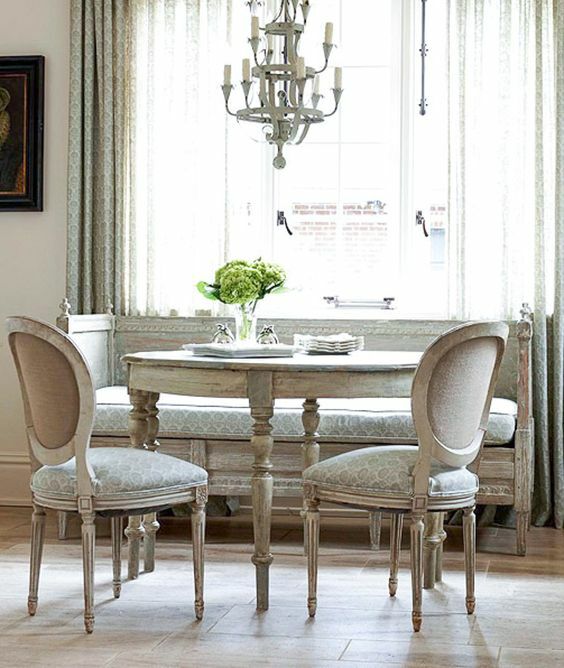 That dining room of hers is stunning! 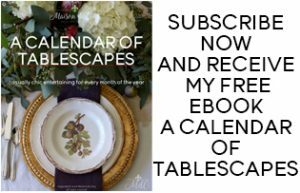 Liz referred me to your blog, it is beautiful and your style is delightful. Great post! 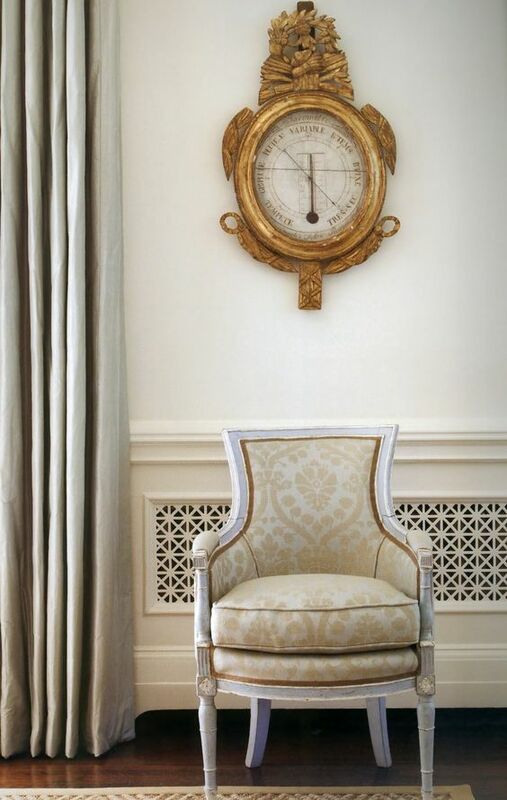 I too am a huge fan of Swedish antiques and the designs that came from the Gustavian period. 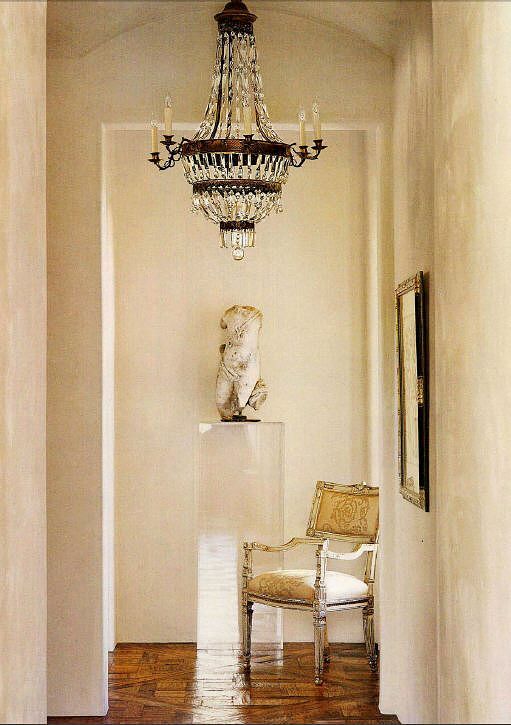 So light and fresh but still give me my crystal chandeliers and gilt mirrors! Beautiful examples. 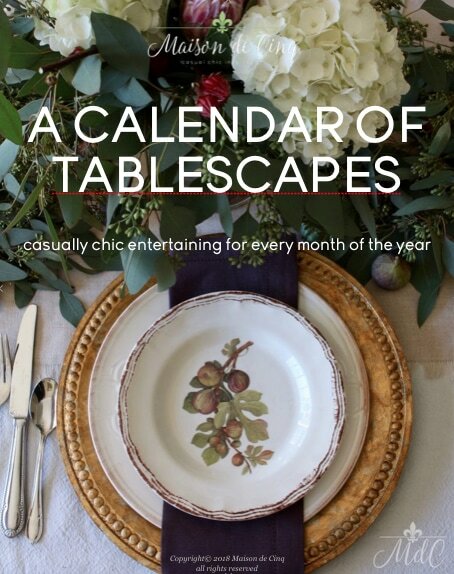 I have been a long time fan of Henhurst Interiors and admire everything she does. I agree Angelina! Glad you popped by friend! Hope your long weekend is a great one! 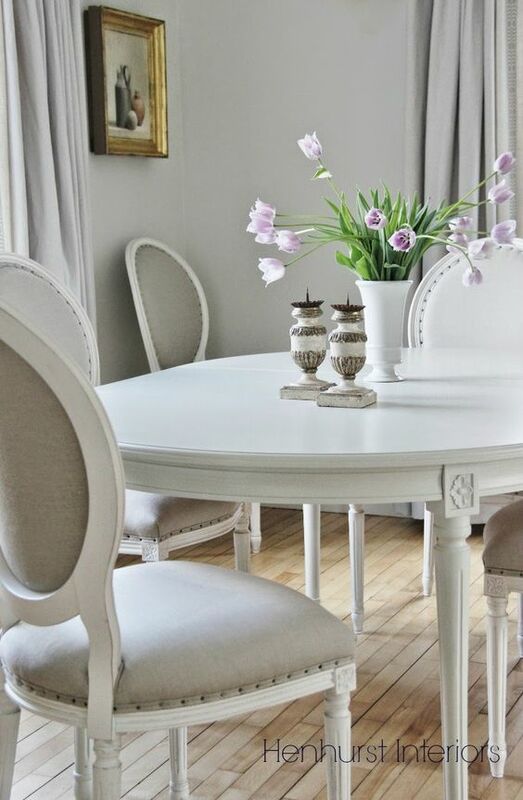 I love French and Swedish rooms – the style is very similar but I do prefer the colors of the Swedish style a little better. Have a lovely weekend! These are all great looks. I always enjoy seeing both French and Swedish styled looks like this. I like the Swedish and contemporary mix- what a great look!